Dr. Tracey Johnson holds a sage thrasher nestling, discoivered while check nest sites for the songbird study. The chick was quickly placed back in the nest unharmed. 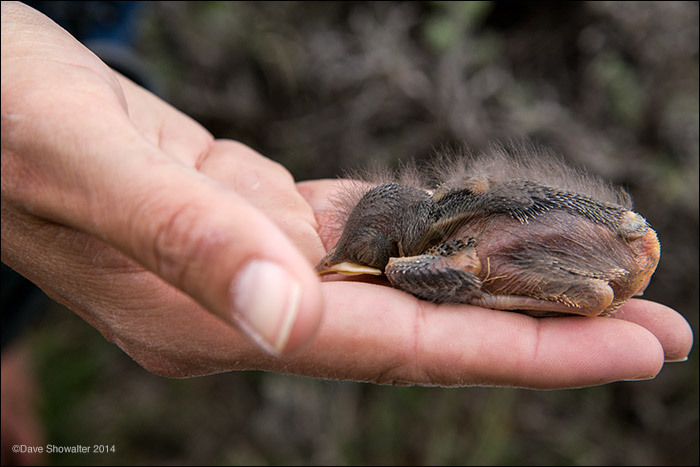 Sage thrashers are a sagebrush obligate species, obligated to breed and raise their young in sagebrush. Photo © copyright by Dave Showalter.